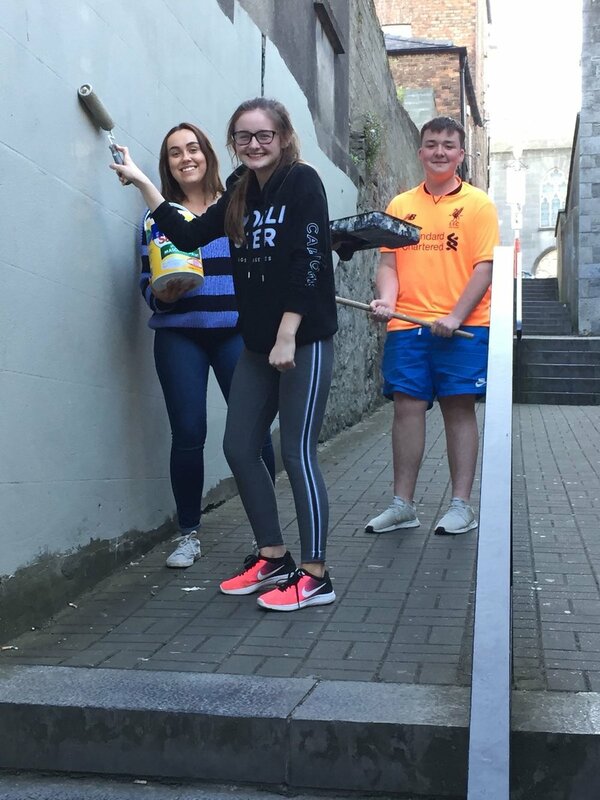 Young Members of the Lourdes Brass Band have taken the initiative and decided to remove graffiti from our side wall, on the Highlanes steps. Danny Black, Sinead Curran, Ellen Crowley and Dylan Thornton gave up their time to remove the gfaffiti and tidy the area. The Lourdes Brass Band wishes to thank and acknowledge the following groups: - "Make the Highlanes beautiful" - "Drogheda Street and Heritage group" and the "Drogheda Volunteers" for their work and efforts to tidy the whole Bachelors Lane / Mayoralty Street area.